Although the Common Core is here to stay at least for now it is more important that every for librarians to continue to market themselves. We have Common Core and inquiry-based learning written across out foreheads. AASL’s Standards for the 21st Century Learner was in effect long before Common Core was a glimmer in the distance. I have found it effective to use the students who have ownership of the library. I have created videos about how the students use the library for the school board. I also attend as many professional developments with the teachers that I am able so I can talk in their language. In New York especially with the rise of the required research paper this falls in the purview of the librarian. Even if you cannot directly collaborate with the teachers providing resources and being available is key. Create an online newsletter that is sent out monthly to the staff. Include tools the teachers can use to make CCLS compliance a little easier. 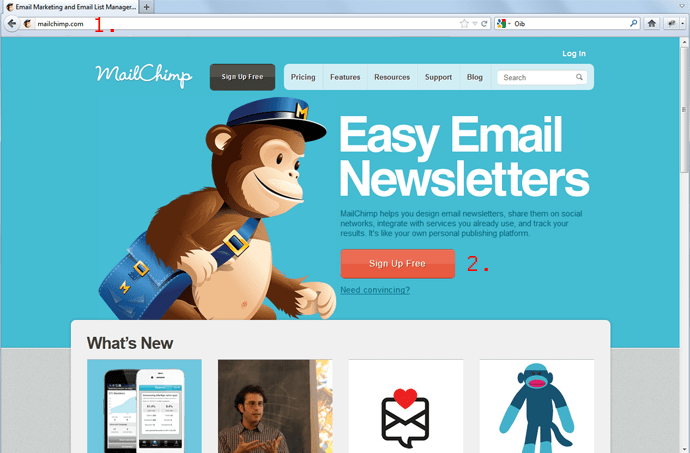 MailChimp is a great free website to use for professional looking newsletters. If you have less than 2000 subscribers and less than 12,0000 emails per month then it is free. Presenting at Faculty Meetings even if it is a 1 minute website highlight or a new database that can help teachers find primary source documents. Once you have the newsletter setup it is very quick to just add information when you want to use it. In fact I plan to use this monthly for my own school. I was excited to find it because I had been sporadically sending out information to staff as I came across it. To have a regular information source for staff is important. A good article on getting to the heart of the Common Core Learning Standards. Barbara Stripling and Diane Ravitch mentioned. Don’t be an island onto yourself. Use the resources around you.